You must be wondering – what has this diagram got to do with Ace Your Econs (AYE)? 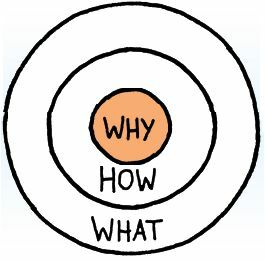 This is the famous golden circle used by Simon Sinek’s Start With Why and we strongly encourage all of you to read this book. In a nutshell, the golden circle tells us that without the why (the purpose), the how and what fall apart. Why do I need to do well in Econs? Is it because I am stuck in my existing subject combination and don’t have much choice? Is it because I want to compete with my classmates? Or is it because this opens up many more local university opportunities for me? Note the choice of your purpose will shape how you study and what you study. And if your purpose is either #1 or #2 (or both), please have a talk with us. Same goes to us – What is the purpose of AYE? Why should you be learning from us? We believe you deserve to be great again. Have you ever been labelled by your teachers and parents as a non-performer or failure for performing poorly in exams, leading you to feel utterly disappointed with yourself? And has this disappointment pulled down your confidence, manifesting into a downward spiral of your competence-confidence loop? 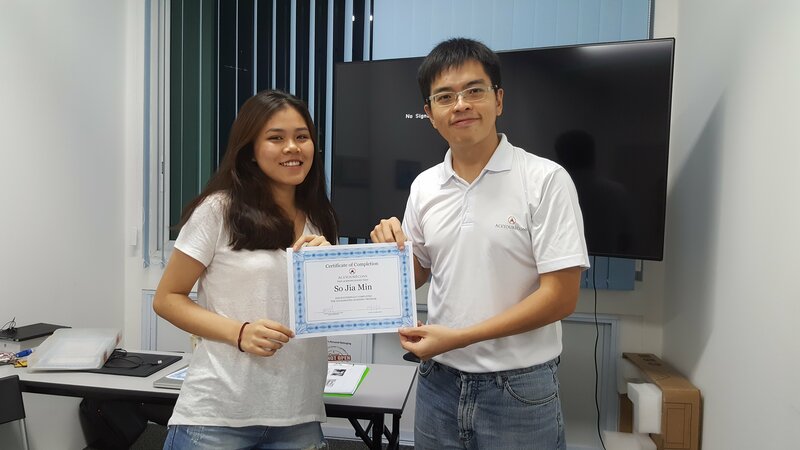 Jiamin was a private candidate under our programme as she could not qualify for a local university placing with her existing grades (she was formerly from RVHS & scored a D grade in her first attempt in ‘A’ levels). During her placement test, her confidence level was extremely low and she had subconsciously labelled herself as a failure because of her D grade and inability to enter a local university. She confided that she did not give her 100% during her Y5 and Y6 (This is a risk faced by most IP students as they have not sat through ‘O’ levels before and tend to underestimate the requirement of ‘A’ levels. Not giving 100% means that she has the potential to do even better). She represented her school in floorball and played this sport at least twice a week (she has potential to succeed in areas of passion). She is in a do/die scenario as she has only her PSLE certificate to fall back on (She is very determined to succeed this time). Jiamin clearly possessed the potential and the determination to do well. But her internal interpretation of her recent ‘setbacks‘ and the social stigma attached to ‘poor grades’ were preventing her from maximising her fullest potential. She has to acknowledge her previous result as a mere outcome of what she had done/had not done in the past and learn from her lesson. We’ve helped her to identify a correct purpose to re-do ‘A’ levels. Knowing the ‘why’ for her is important to set in place the ‘how’s we’ve planned for her i.e the tailored revision package designed for her. With a proper goal and the corrective measures in place, she started to see improvement in her essay and CSQ performance in our programme and her confidence level soared. This created a positive upward spiral of the confidence – competence loop. Not only did she score her well-deserved ‘A’ in her second attempt with us, Jiamin has become more confident in herself. However, not all students are as fortunate as her to be given a second chance to reset their paths. Students with poor esteem tend to spiral repeatedly downwards via the confidence-competence loop if left unchecked, resulting in being stuck with another set of poor ‘results‘ over and over again. In AYE’s programme, you will be given an opportunity to start afresh & level your playing field in Econs to secure your well deserved ‘A’. But you have to take 100% ownership of your own actions. Now if you are scoring As for your Econs currently, great job. On the other hand, how consistently have you been scoring your As? How have you been coping with your other subjects? Scoring an A for Econs and doing poorly for the rest of your subjects may reflect a poor ‘why’ for your other subjects. Consider reviewing your purpose with the other subjects. What are the lessons you can learn from your recent results? Have you uncovered your ‘why’ properly? If your ‘why’ is well-defined, what strategies are you employing to achieve your goals? Are you using the correct study methods a.k.a Hows (refer below) for Econs? Learn from experienced guidebook author Mr Jeffrey. Online homework practices to build your exam confidence. We do not practice charging by the hour to build your confidence. Your one stop solution on the go. Grab your unfair advantage of concise notes and videos on the go now. Be rest assured we're SG's one and only practice-based learning centre! Familiarise with exam questions asap! Get yourself exposed to at least 1 CSQ and 1 essay every week. Intakes of max 12 per class. We do not go for mega theatre styled lectures so we can focus on you. Want to find out how you fare among your peers? Optional mock exams to provide exam conditioning for our students. Would you like start being great with us?